Fractions can be a tricky concept for kids to master. You have to combine the idea of equal parts with portions. As always, we wanted to work on learning in a hands on way so we got out our favorite blocks for today's math lesson. It's no secret that we love KORXX Blocks! We fell head over heels the first time we discovered KORXX. 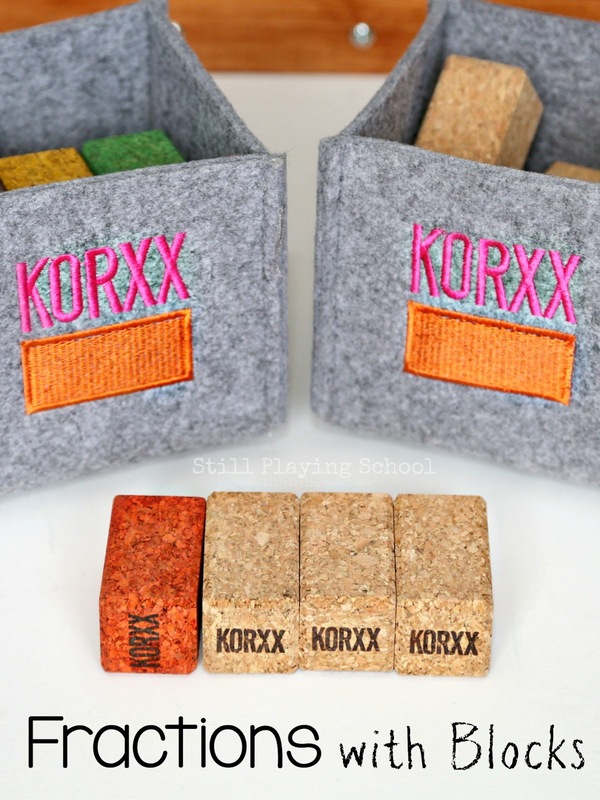 There are so many ways to use KORXX to play and learn. 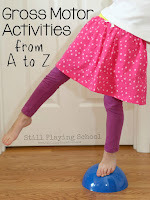 They are a worthy investment of sustainable durability and a staple of manipulative in our home. 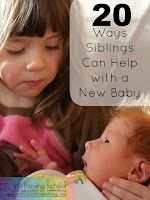 We've been thrilled to be a blog ambassador for them for several years now. When this week's manipulative was blocks we grabbed our collection of KORXX but you could use regular blocks for this activity too. We began by sorting our KORXX blocks by shape and color. This made it easier to grab the blocks we needed when making fractions. I wrote two fractions on cards that together would equal a whole. 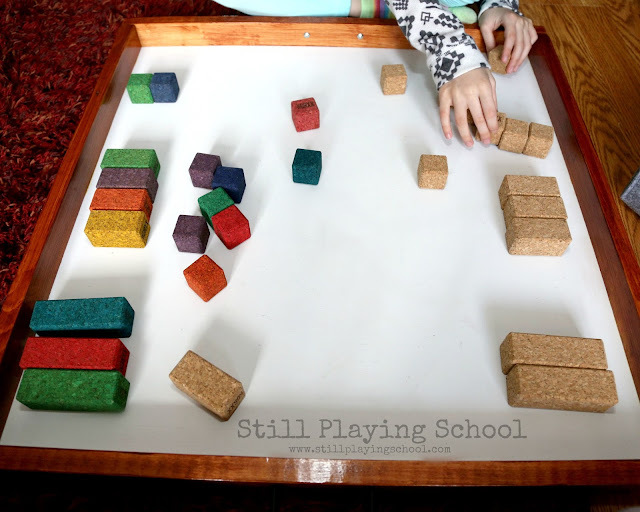 Our daughter's task was to make the fractions with the blocks using colored and natural KORXX. We talked about how the bottom number of the fraction is the denominator and it represents how many parts. The top number is the numerator and that is how many are colored or natural. 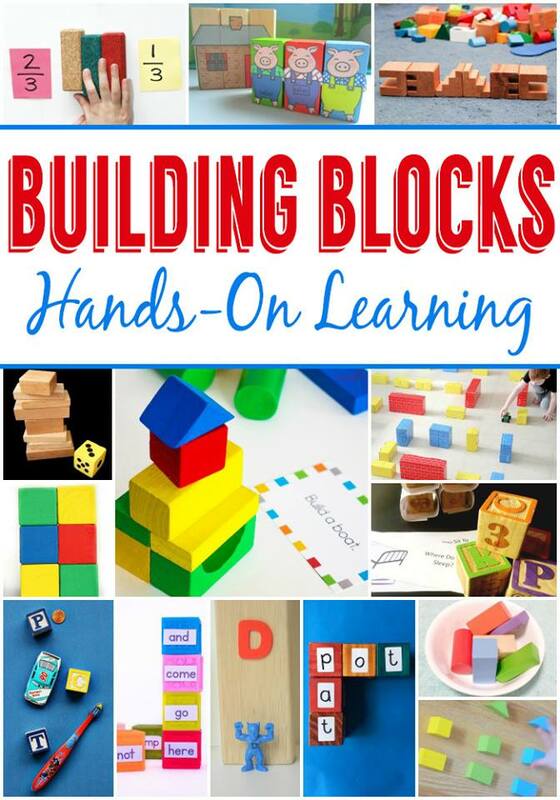 Great hands-on activity! 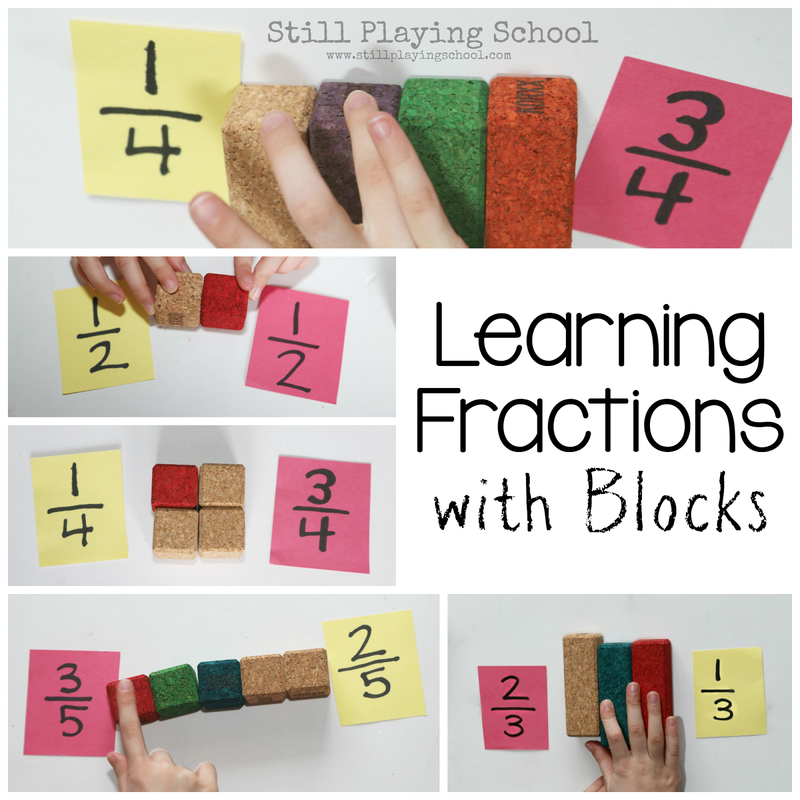 Fractions are definitely better understood through visual manipulation like this activity! Great hands-on way to teach fractions! I wish someone had explained fractions to me like this when I was a child. Perhaps then I wouldn't have a fear of them!